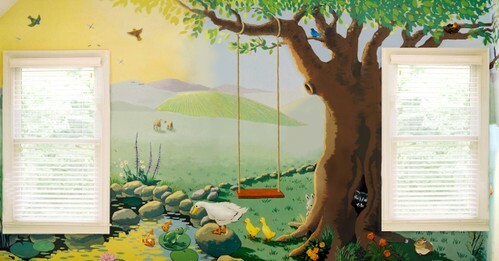 A large mural for a child's playroom. Samantha loves animals so we included lots of them in the design. This wall is about 8 x 20 feet and took 65 hours.